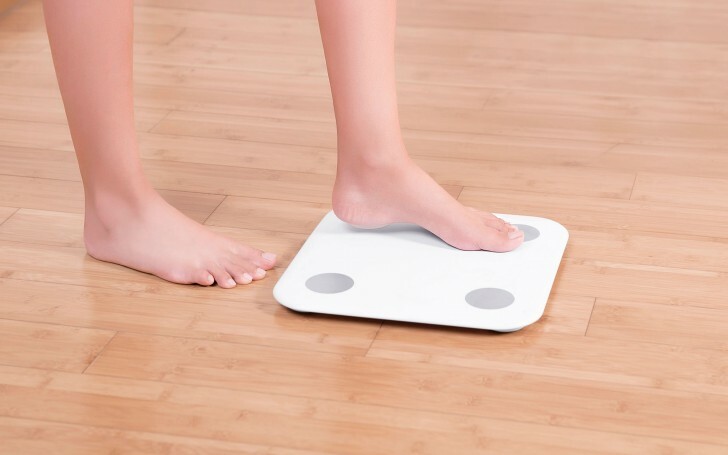 Xiaomi has launched the Mi Body Composition Scale in India. The device is designed to track various body stats when paired with the Mi Fit app. The Mi Body Composition Scale looks like a standard weighing scale at first glance. The surface is made out of tempered glass with anti-slip finish for use with wet feet. It has a large LED display that lights up when you step on the scale and auto adjusts brightness to ambient light. When paired with the Mi Fit app over Bluetooth (available for Android and iOS), the scale can show you your weight, body mass index, body fat, muscle mass, water percentage, bone mass, visceral fat, body score, basal metabolism, and more. You can create up to 16 profiles for multiple individuals in the household and it can automatically detect whether it's an adult or a child. The data can then be used to improve your workout schedule or just keep a track of your health. The scale uses 4x AAA batteries (included) and can last up to 8 months with Bluetooth 4.0 LE. The Mi Body Composition Scale is priced at INR 1999 ($30) and available online at Mi.com. So you never really gets tested with similar device in medical facility? Or you don't believe it as well? If the latter, well... you can't be helped.